Just three months after its proposed acquisition by Staples ran into regulatory roadblocks, Office Depot unveiled its plans for the future as a standalone retailer. In its second quarter financial filing, the chain announced it would close an additional 300 stores during the next three years, a move that is anticipated to help cut annual costs by some $250 million by the end of 2018. 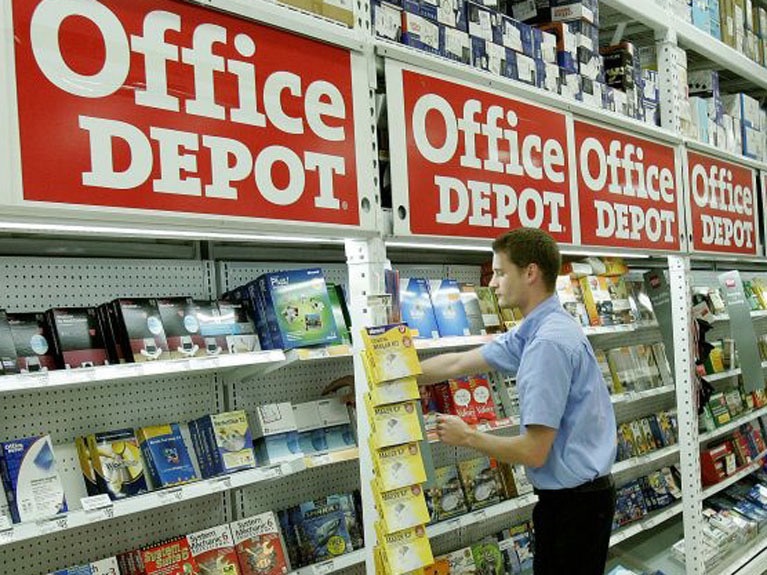 Office Depot is also planning to cut costs by reducing procurement and general and administrative costs. The retailer said it intends to build on the early success of its “store of the future” format by expanding the pilot program to a total of 24 stores by the end of 2016, with 100 stores targeted for 2017. The format features a smaller 15,000 sq. ft. footprint and is designed to provide customers with an enhanced shopping experience including a curated assortment of products and expanded services. For the quarter ended June 25, Office Depot revenue 6.5% to $3.22 billion, roughly in line with analysts’ estimates. The retailer reported net income of $210 million for the second quarter, largely due to the $250 million breakup fee it had received from Staples, compared with a loss of $58 million. Office Depot also said it had initiated a quarterly dividend of 2.5 cents per share and would increase its stock buyback plan to $250 million from $100 million. Office Depot, which has already closed 400 stores, ended the period with 1,513 stores in North America. Posted on August 3, 2016, in #international, #retail. Bookmark the permalink. Leave a comment.